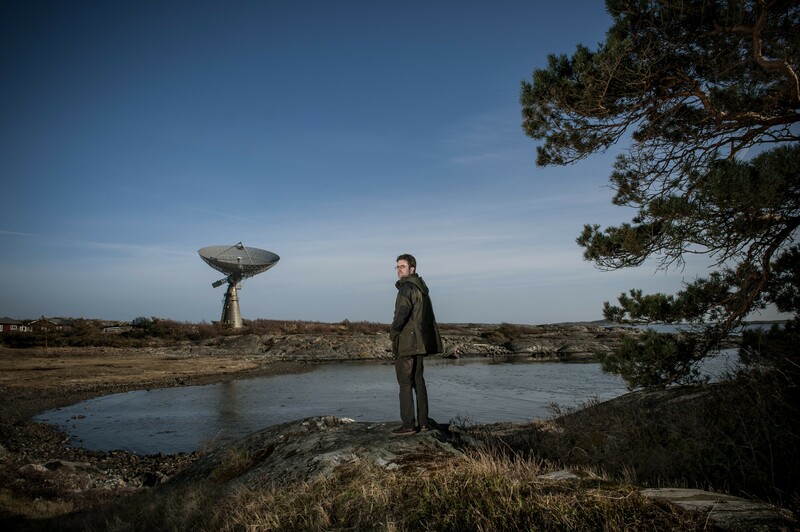 Right now, as you read this article, large volumes of data traveling from the Onsala Space Observatory, the Swedish National Headquarters for Radio Astronomy, through networks of Swedish and Nordic research to scientists around the world. Onsala is part of an international network of antennas and telescopes, dedicated to the search for new knowledge about the universe and Earth. Together with other similar facilities in the world, Onsala plays a very important role in astrophysics, studying for example the birth and death of stars and the history of the early days of the universe. In addition, the facilities are used for space geodesy, and rotation of the Earth, the movements of the earth’s crust and sea level is measured. “As astronomers use patterns on Earth developed by geoscientists to take precise measurements of space. And geoscientists use our models of space to take precise measurements of the Earth. Therefore, we have much to share and interact. However, all have the constant need for technical improvements, mainly with regard to data processing. the geoscience and space are the motors of technical development and better tools and more computing resources can realize many more ideas in the future ” . Onsala headquarters has a radio telescope of 20 m and a 25 m, along with a LOFAR station consisting of 192 simple antennas with frequencies below 250 MHz, spread over an area of ​​100 m x 200 m.
“Antennas telescope like LOFAR generate huge volumes of data. We do not have the ability to store and process all the information coming from the telescope, but the technology is advancing rapidly. When huge telescopes are built, not only are designed for the it is possible today, but also to be used in the future. LOFAR is a good example of this. Today we can create large amounts of sharp images at very low frequencies. this is very encouraging and gives us completely new insights into the stars and galaxies. But LOFAR is still evolving, and in the future we can create even better pictures, “he says. Located in the far Onsala peninsula, 45 km south of Gothenburg, in southern Sweden, the observatory is connected to several international networks. The LOFAR station is part of an international set of antennas for studies, for example, the story of the early days of the universe, and is one of the 50 LOFAR stations already built or under construction in Europe. The Onsala radio telescope can be attached to telescopes elsewhere to produce super sharp images using a technology called very-long-baseline interferometry (VLBI, its acronym in English). In addition to producing sharper images of celestial bodies, the VLBI technology can be used to study the Earth, measure distances between continents and determine the rotation of our planet. Both radio astronomy and Earth sciences are used simultaneously telescopes located in different parts of the world. This means that the joint work between scientists is essential and often, these telescopes are controlled remotely from a specific location. In Onsala, a portion of the collected data is processed in situ and then distributed through networks of Swedish and Nordic team of scientists who are responsible for the observation research.